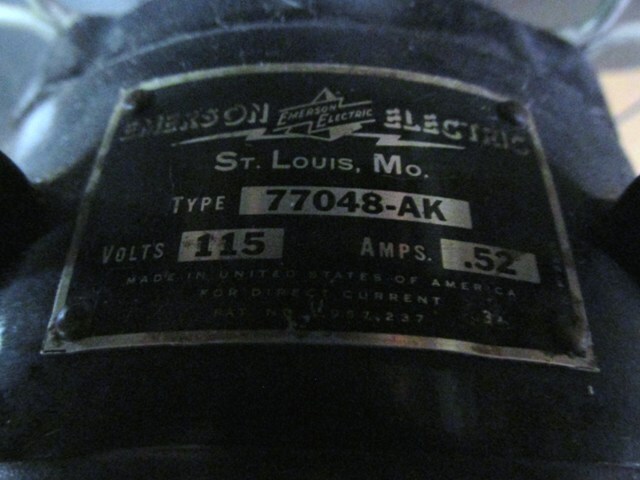 1952 16 inch Emerson DC 77048 for sale. It is a rare DC. All original down to the cord. 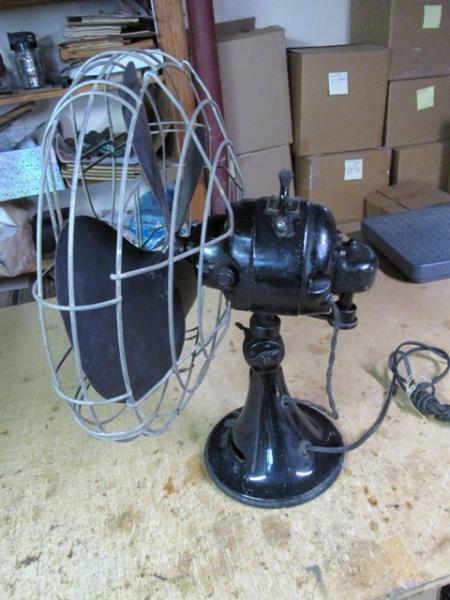 Runs on all three speeds and oscillates smoothly. It is very quiet and moves an insane amount of air. Price is $300.00 + shipping. If interested please PM me. 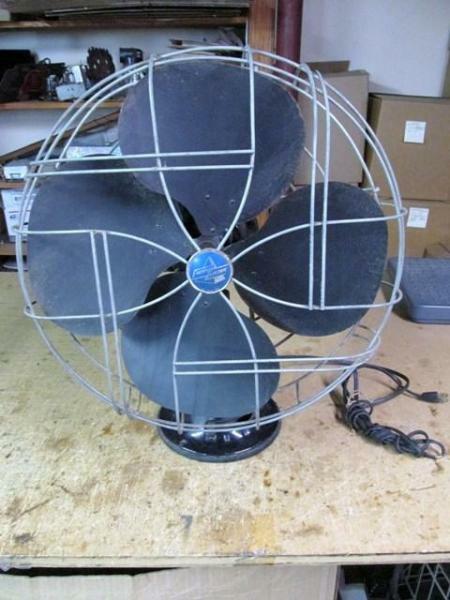 Where would this have been used on DC in the 50s? I think Stan Adams has some on the battleship. I believe that Many areas in old downtown St Louis were still using DC up until the late 1960's before finally being converted to 60 cy. A.C. Correct me if I'm wrong Emerson Bill. I thought they had DC until the mid 70s. New Orleans also. Page processed in 0.1977 seconds (33% database + 67% PHP). 27 queries executed.